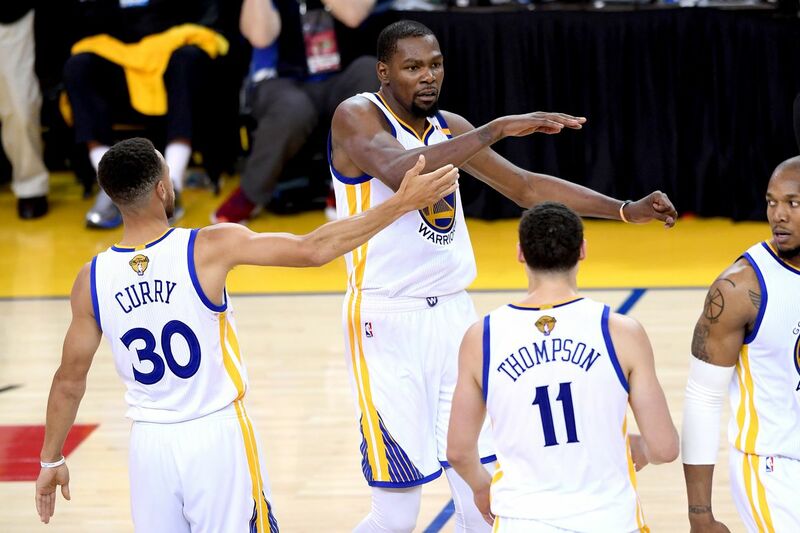 What Are the Chances of an Ad-Free NBA Finals? The NBA playoffs begin tomorrow. It will mark the first time that the league’s postseason has featured uniform advertising, at least for some of the teams. That raises an intriguing question: What are the chances of an ad-free pairing in the FInals? • Twenty-one NBA teams currently wear ad patches. Of those 21, 10 of them (48%) made it to the playoffs. • Nine NBA teams are currently ad-free. Of those nine, six of them (67%) made the playoffs. So the ad-free teams outperformed the ad-clad teams. • Looked at another way, 70% of NBA teams are ad-clad, but only 63% of playoff teams are ad-clad. Again, ad-free teams outperformed ad-clad teams. 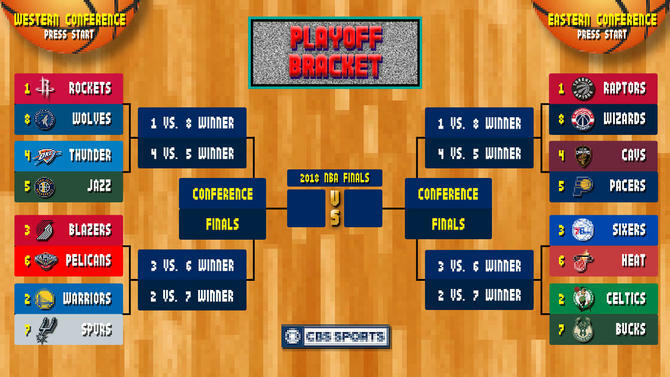 • Of the eight first-round playoff series, two of them feature two ad-clad teams facing off against each other, and the other six feature an ad-clad team vs. an ad-free team. So what are the chances of an ad-free matchup in the NBA Finals? Things look very promising in the Western Conference, where three of the top four seeds — Houston, Portland, and Oklahoma City — are ad-free. That includes the Rockets, who had by far the best record in the league and have a strong chance of making it to the Finals. Their biggest obstacle will likely be the ad-clad Warriors. The situation is more problematic in the East, where the top four teams are all ad-clad. The best ad-free team in this conference is fifth-seeded Indiana, which looks like a long shot to make it to the Finals. But hey, if we end up with an ad-clad team and an ad-free team tipping off in the Finals, at least that should make it very easy to decide who to root for. Not my type: Yesterday the White Sox released some more photos of the 1968 throwback uni they’ll be wearing for next Tuesday’s game against the A’s. At first I was happy to see that they were including the Illinois sesquicentennial sleeve patch — one of my favorite patches from that era. But when I took a closer look, something about it looked off. The font for the typography was Copperplate Gothic — is that really what the original patch used? There are other subtle changes to the patch design, but the typography is what gets me. They had to make a very conscious choice to change the font. You might be thinking that most people will never notice, and you’re right. But I’m thinking that it can’t be that hard to do use the proper font, and I’m even righter. Incidentally, this year is Illinois’s bicentennial, but no patch. Too bad — I like these civic-minded patches that transcend the world of baseball. • The team name — “Blue Chickens,” a riff on the U. of Delaware’s Blue Hens — is rendered in a very nice script (with “Super WAMS” — the station’s call letters — in the tail). • You have to look closely to see this, but they’re wearing Northwestern-striped stirrups with crew socks over them. • I love that they used an ABA ball to match their color scheme, instead of an orange NBA ball. • Matching blue suede sneakers! Well, except for the woman, but her whole outfit is different. The photo is from 45 years ago. Did any of these uniforms survive? I definitely want one! Naming Wrongs reminder: In case you missed it yesterday, we have a bunch of new Naming Wrongs designs that are now available for your consideration (including the Gund design shown at right, which you can click to enlarge). Check them out here. If you don’t want to buy a shirt, that’s fine. But Uni Watch could use your support, so it would be great if you’d please consider buying a membership card, or a limited-edition print. You could even make a donation — full details here. Thanks for listening. Baseball News: Fewer fans attended the Marlins game than their Double-A team’s game on Wednesday night (from Josh Hinton). 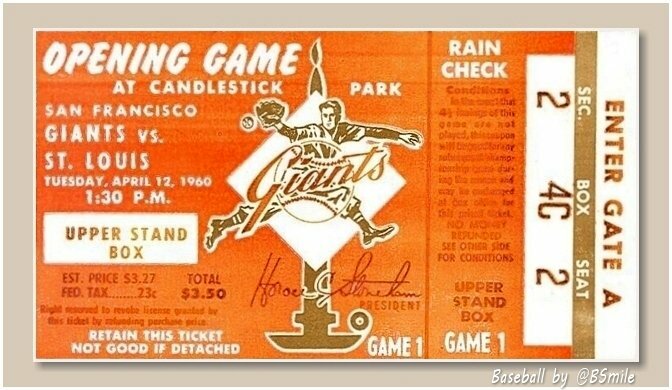 … Here’s a ticket to the first game at Candlestick Park (from BSmile). … It was FGCU night for the Fort Myers Miracle last night (from Nick Lykens). … The Richmond Flying Squirrels, Double-A affiliate of the Giants, unveil seven themed uniforms for this season. 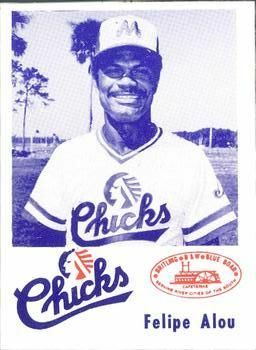 … The Memphis Redbirds, Triple-A affiliate of the Cardinals, will play as the Memphis Chicks on throwback nights (from Todd Sparks and Scott Petrowski). … Ever experienced a cancellation due to fog? Ray Hund passed along this photo of a 1957 game between the Dodgers and Cubs that was called because of fog. … This a great photo of the 1902 San Diego State baseball team (from Brady Phelps). … As Michael Kinney points out, it looks like Arkansas uses an upside down 2 as a 5 on their outfield wall. … Here’s a story on the Toledo Mud Hens’ new raised helmet logos (from Tom Konecny). 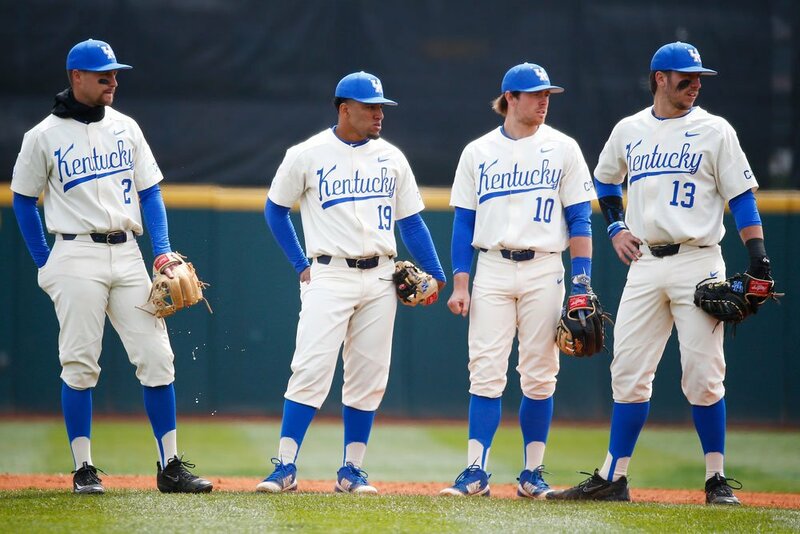 … Gorgeous new throwbacks — but with disappointing faux stirrups — for Kentucky (from Josh Hinton). … Looks like Giants OF Gregor Blanco was wearing a sock on his arm last night (from Alex Moggridge). 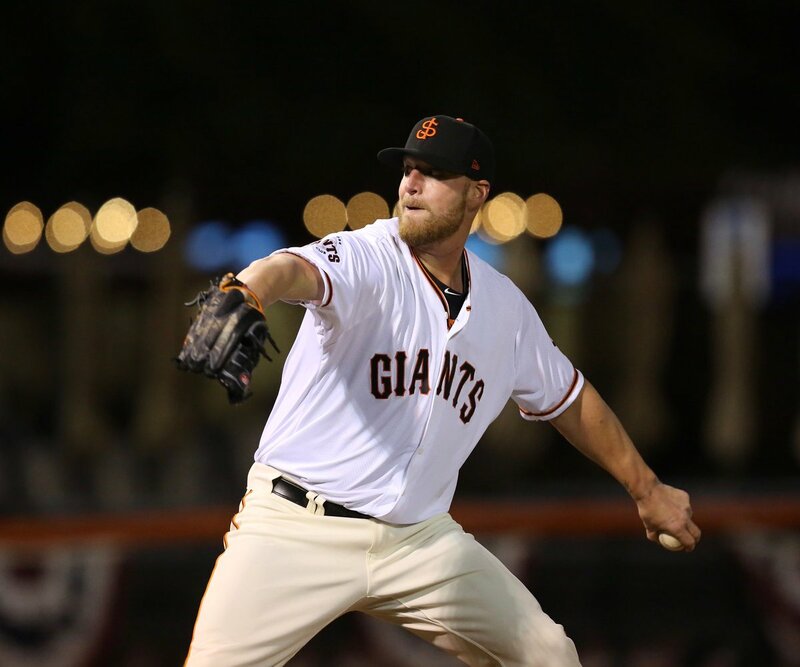 … Giants P Will Smith had a rehab appearance with the San Jose Giants last night. The minor league team has white jerseys but Smith wore his cream-colored MLB pants, creating a weird mismatch (from Tim Louie). … For the second consecutive day, an MLB pitcher — in this case, Kyle Hendricks of the Cubs — wore a cap without the New Era logo creep. Hockey News: Jersey Day for the Humboldt Broncos has spread across the world (from Brinke Guthrie). 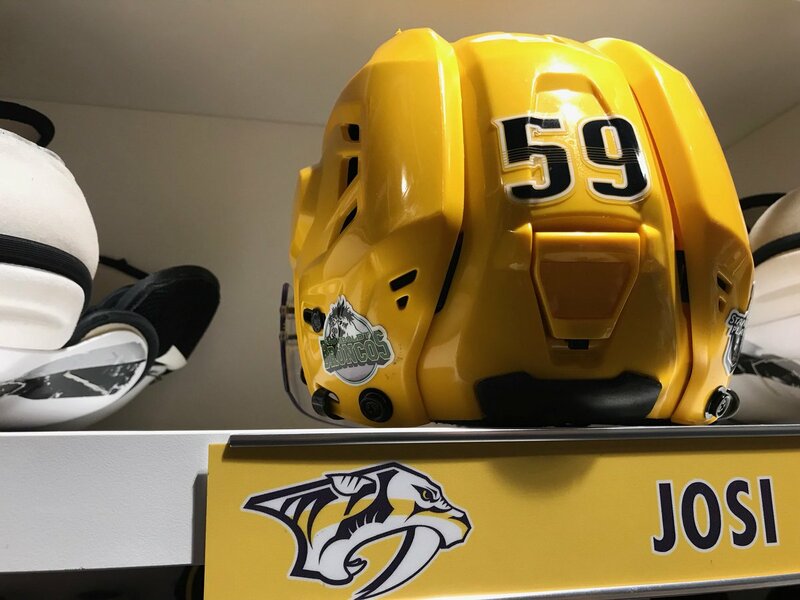 … Speaking of, the Predators wore Humboldt Broncos helmet stickers last night (from @RussellRiesJr). … The Capitals created a Humboldt mask that will be donated to the Broncos (thanks Jamie). … Check out these sweet 1930s Maple Leaf jackets (from Ray Hund). Soccer News: Try not to barf looking at this PSG pre-match kit (from Big Daddy J). … New home kit for Ottawa Fury FC of the USL (from Ed Żelaski). … Costa Rica released their World Cup home kit, and the away kit leaked (from Josh Hinton). … The writer Jay Mansfield has been chronicling the kit evolution of Scottish club Rangers from 1987. Here’s the latest installment (from Denis Hurley). .. New training jerseys for Louisville City FC (from Josh Hinton). Grab Bag: Here’s a breakdown of Washington’s deal with Adidas (from Kenny Ocker). … Mississippi State students broke into an Alabama athletic facility and stole memorabilia (from Josh Hinton). … How “Dilly Dilly” is taking over sports. … DJ Kennington will pay tribute to the Humboldt Broncos at this weekend’s NASCAR Cup Series (from Mike Chamernik). 88 comments to What Are the Chances of an Ad-Free NBA Finals? Typo: “1957 game between the DODGERS and Cubs” When I saw this on the ticker, I associated the fog with California. Then I saw Ebbets Field in the photo and thought, “maybe emphasize Brooklyn along with the typo.” Then I saw 1957, which is the Dodgers’ final season in Brooklyn. Footnote: I read that it was the first game in MLB history called due to fog. 1. The font on the Illinois sesquicentennial patch looks a little bit like what the D-backs and Ravens first wore (the letters, at least; the numbers less so). The copperplate is a copout (no pun intended). 2. When I think of Brian Urlacher, my first thought is “bald”. Hiring him to shill for a hair restoration company is interesting. 3. Agree to disagree on the PSG fleur-de-lis warmups. They’re magnifique! That’s exactly WHY they hired Urlacher. Because it’s so surprising and unexpected to see him with hair. The billboards are about every 50 feet on the Jane Addams Tollway approaching Chicago. It’s a little crazy. Then again, I have a full head of hair, so I’m not the target market. Not sure if I sent it in wrong, but it’s Louisville City FC, not Louisville FC. • Looked at another way, only 30% of NBA teams are ad-free, but 37% of playoff teams are ad-free. Again, ad-free teams outperformed ad-clad teams. Am I seeing correctly that some of those WNBA team jerseys don’t even indicate which team it is? I’m supposed to either know the color scheme or distinguish by advertiser? Correct. They have achieved full-Idiocracy there. It really doesn’t help that they’re all the same damn template. So they’re not only advertising-laden messes, they’re BORING advertising-laden messes. I hate it too, but worth pointing out that this is not new, WNBA jerseys already have that kind of ad-dominant design. Yeah, but didn’t they used to have at least a badge or crest telling us the team? I guess this way is easier on the equipment people when they move, but looking at one like the Dallas jersey, they don’t represent Dallas at all. It’s turning from being a community’s team to a company’s team, and while there have been some great company teams in the past uni wise (The Oliver Typewriter baseball team springs to mind), it’s not something I’m eager to go back to. When the league first got into trouble and teams started struggling it was only one team (maybe two) with the ad and for sure one team only had the ad on there with no team name. This does not anger me like NBA because it’s not about greed. It’s a necessity for them to survive. Just really so sad… I am glad he Comets era was not marred by this loss of team identity. Cheers to Atlanta and the Mystics for holding court (although, looks like the verizon was a league wide mandatory addition). But honestly, I have not watched a single WNBA game in two decades. Or 16… or whatever? You get my point. I live in Fort Worth and wasn’t aware Dallas had a team. Being a huge Simpsons fan, is it just me or whenever the WNBA is mentioned, do y’all also get reminded of the quote “That’s for the FAN to decide” ? The first ad happened much later than I had remembered. This article (NYT link) has some disappointing word choices like partners and innovation. I remember when that happened. I wrote a small piece for ESPN Mag. I assure you I did not use those words you refer to! When the NBA finals come, I don’t base who I’m rooting for based on whether they have an ad or not, sorry but I’m actually a sports fan and don’t have OCD for being so anti-corporate. I’m actually a sports fan too, which is why I don’t like seeing advertising patches on sports uniforms. I totally get the ad hate – I always liked how US big 4 uniforms were clean in that aspect. After 25 years it doesn’t stick out quite as much but US sports are still the only ones where I have heard that. It’s probably not as noticeable if it’s been there most of your life – and it probably crept in like logos did. But hey, this is uniwatch – should protest where we can! Oh, it’s plenty noticeable. I hate that type of sponsorship advertising too, and I’ve written about it plenty of times. All part of our collective descent into Idiocracy. To be fair, we haven’t had to experience an ad clad finals before. But since my team didn’t make the playoffs, that will be how I determine the team I root for. Look all I know is I am rooting for the 76ers the whole way through, I wish they didn’t have an ad, but I’ll just ignore it! Thanks for describing that particular uniform (69-70 roads) as grey. Despite what many well-intentioned people may tell you, they were certainly GREY. According to William Henderson’s wonderful “MLB Game Worn Jerseys of the Double-Knit Era,” the Sox did attempt to re-create the 69 road uniform in 1999. However, they did a crappy job. The piping wasn’t really piping – more of a three color knit striping around both sleeves and the neck. The number font was wrong, and the back of the jersey was atrocious. In 69 the Sox wore small, approx. 5 inch numbers in a distinct font, below rather tall name letters. On the 69-70 road jerseys the name and numbers were blue – after being changed from white after the first road trip of the 69 season. Almost all throwbacks depicting jerseys from 1960 to 70 get the backs wrong. It remains to be seen how close next Tuesday’s throwbacks get to the original names and numbers. The font on the front of the jersey is close, but not correct. I suspect we’ll see a “good enough” attitude toward the back HALF of the jersey, with a varsity font and standard sized numbers and names. Really confused by that Urlacher jersey. First, I’ve never even seen a Bears jersey in those colors. The closest I’ve seen are NFL jerseys in “platinum,” like the Bears Kevin White jersey in white and silver. Second, if you are going to cover all the marks, why bother to use blue and gray. I suspect it was digitally manipulated to change the colors. Strictly speaking, not necessarily so. Most likely, the patch had to be recreated from physical artifacts and/or photography, not reproduced from original art. So the process would not have started with the correct type and changed that type. Rather, the process would have been one of attempting to reproduce the original type from scratch, and failing. The new version uses a common font that’s present on just about every computer in the world. It’s obviously not the right type, but it echoes certain prominent details in the letterforms of the original. It’s easy to see how a careless designer might use it, and how a careless decisionmaker might accept it as close enough. Possibly close enough for the careless decisionmaker not to have noticed the difference when judging the work. Which is to say, this probably isn’t a case of someone looking at the original and saying, “Change it!” It’s a case of someone looking at the original and saying, “Reproduce it!” And then settling for a crappy reproduction. It may seem like a fine distinction, but the difference between intentionally doing a thing and carelessly permitting a thing to be done is the difference between murder and manslaughter. Agreed. Copperplate is installed by default on nearly every Mac. 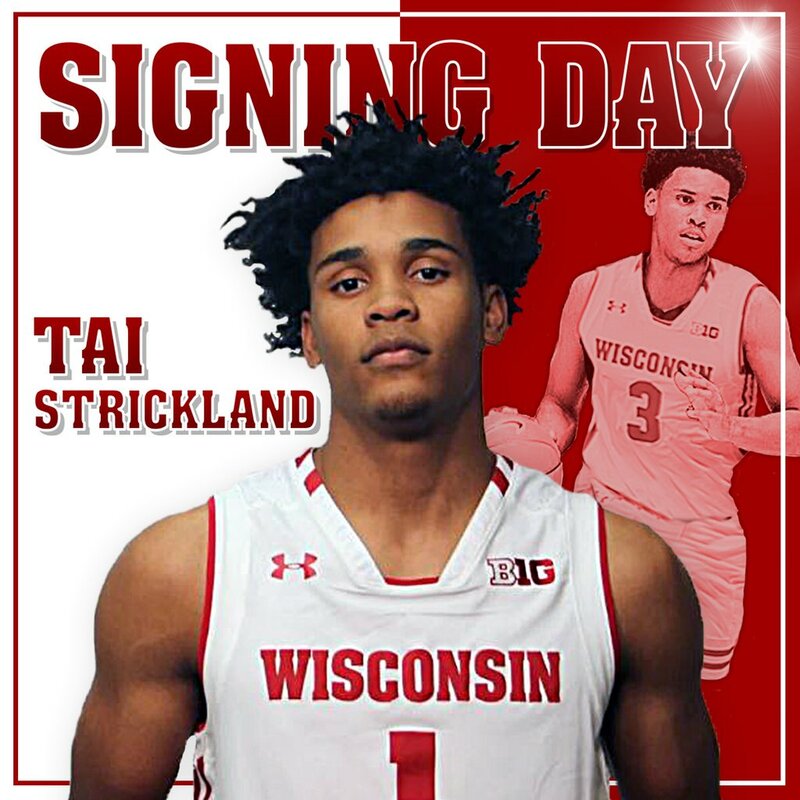 My hunch is the graphic designer was given a tight deadline and zero budget — I’ve worked in Sports marketing and was always surprised by numerous last-minute decisions that get shipped… and the minuscule budgets. Buying/creating a matching typeface for 50 year old patch would take significant time/money. Paul is correct it can’t be that hard… but using freeware/shareware type in a corporate environment can lead to nasty PR blowback. Less intentional, more likely a victim of circumstance! I’m glad Paul brings these tiny battles to the forefront! Unfortunately, Copperplate *does* have a very unique profile, even in caps, so a keen eye will notice it in use where it shouldn’t be! A more generic bold serif would’ve been a subtler choice. The Rangers article in the soccer section is really in-depth – looks to be a couple thousand words on four years of kits/other observations. Highly recommended. Agreed – Really interesting read about how teams decide on jersey design. Loved the second on the orange jersey Rangers wore one year that did not go over well. (including the Silverdome design shown at right, which you can click to enlarge). But the Gund shirt is present? Changed the photo but forgot to change the text! Thanks. Is anyone else disappointed every morning when there’s not a Uni-Watch cap update? Not to pile on but how about an update for the first pitch on Brannock Device Night in Syracuse? Any special arrangements? After-party? Not at liberty to talk about it yet. Soon. You left out an important detail about the White Sox patch: “sesquicentennial” is a great word that should be in wider circulation. As our continent’s existing institutions get older, we have some really fun anniversary names coming up. The Texas 175 year anniversary was in 2011. We celebrate our Independence from Mexico. The sesquicentennial was in 1986. The “y” in Kentucky seems unduly complex. But that’s not to say it’s wrong. The original must have been odd-looking, too. Re: Humboldt Broncos stickers on the Nashville helmet. All playoff teams are wearing the Broncos sticker. The Humboldt campaign has been fantastic. The goalie for the team, Parker Tobin, lived 3 houses down from me here in Stony Plain, Alberta and my kids knew him. It has impacted our town and our neighbourhood since it happened. The support across Canada, the US and beyond shows how hockey is one big family. One of the more thoughtful pieces written about the Humboldt tragedy was written by Peter King MMQB. For all those Peter King bashers, i dont know of many sports writers who can capture the impact of such a sad event as Peter King did. For the second consecutive day, an MLB pitcher — in this case, Kyle Hendricks of the Cubs — wore a cap without the New Era logo creep. Ay-yi-yi. Juggling too many things this morning. Interestingly, the NBA may have dampened their own marketing abilities as it will become increasing difficult to include an NBA Finals patch on the jersey this year with the Nike logo on one side and an ad partner on the other. My guess is the patch would be placed below the Nike logo but this encroaches upon the team wordmark – unless the patch is designed to be very vertical (and thus hard to read) in shape. There is room on the shorts for a Finals patch but I doubt the NBA will swallow their pride and place their (needless) patch there. But the new NBA Finals logo would make a really awful patch on the back of a jersey. It will be interesting to see what they (Nike as well as the NBA) decide to do. They’re going to keep it on the back of the jersey. They also covered the GSH with a really bad tape job that didn’t match the shoulder stripes. Beyond the difference in font, the most glaring difference I see between the original and throwback is the stark difference in color. Is that due to the photography, or is the throwback version genuinely that much darker? I would guess both. The present-day photo does appear to be less brightly lit. But it is also the case that sports teams consistently use darker fabric colors nowadays than originals when reproducing older uniforms and uniform elements. Heck, most teams wearing blue use darker fabric colors all around. A lot of teams that used to wear navy blue that was visibly brighter than the Yankees’ traditional shade of midnight blue today wear exactly the same fabric color as the Yankees. A similar darkening seems to have affected most teams wearing any blue darker than royal, and most modern reproductions of powder blue appear to be a bit darker than the original as well. This might be an unpopular opinion, but WOW I love those PSG warm ups… They scream French to me and I think the fleur-de-lis really pop with those colors on the white shirt. There are two teams in all of pro sports that could make those warm-ups work. Both are in France, and PSG is one of them. They’re not just beautiful warm-up (for PSG), they’d be excellent jerseys (for PSG). 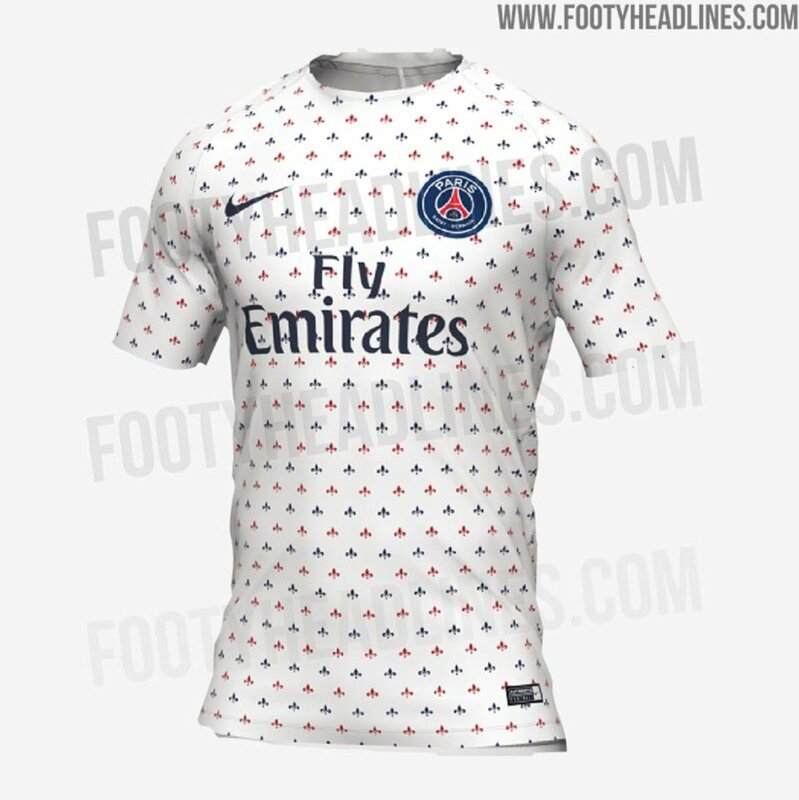 If I were a PSG fan, that would be the jersey I’d want to wear as a fan. You might want to go back and re-read what I wrote, Ethan. Would be nice to see an ad-free Finals. Any way we can convince this lighter/faster/performance-enhancing uniform wearing generation that ad patches are extra weight which over the course of 100 games can take a toll on the players? NASCAR Xfinity (I Still Call It The Busch)Series driver Michael Annett’s car will also be carrying a Humboldt Broncos decal for the Bristol race. Indycar Drivers James Hinchcliffe and Robert Wickens wore the Humboldt decal on their helmets last weekend per news reports. The NBA Finals have a 0% chance of being ad-free. Although some teams don’t have ads on one shoulder, they all have huge Nike ads on the other shoulder. Okay, those are “manufacturer’s marks” and I may be a wiseass. But I don’t think those should get a pass and the Nike logos are as big as the ads anyway. 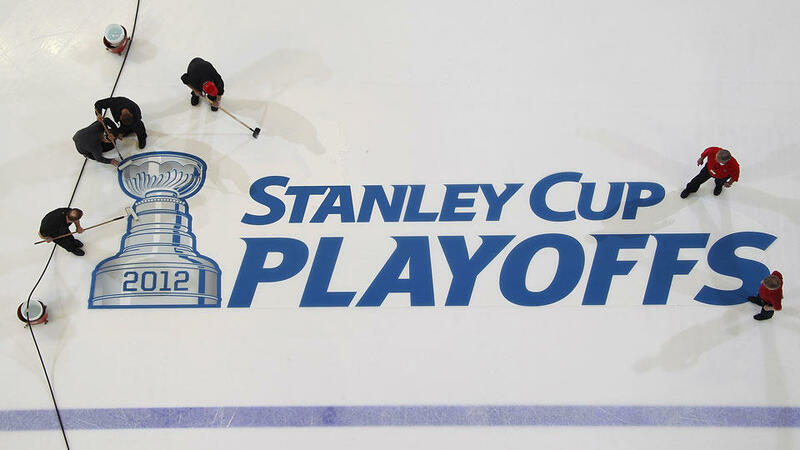 This is the first playoffs that NHL arenas have painted the year beyond the blue line. Incorrect. In recent years, they showed a representation of the Cup next to the wordmark that only included the top ring of the barrel, and placed the year on that ring (dating back at least to 2012). This year, they’ve gone to a representation of the full Cup, and placed the year separately with the wordmark. Anheuser Busch’s bad taste in advertising is only surpassed by the bad taste of their beer. The Memphis Chicks jersey / cap combination is historically inaccurate. With the start of NHL playoffs and a new round of Naming Wrong Tshirts, I immediately thought “I still call it the Adams Division”. Although they weren’t replaced with corporate names, they may have well been. Wonder if there would be any interest in reclaiming the Prince of Wales, Campbell, Patrick, Norris and Smythe names? Did the White Sox wear this for home games? And if so did they wear it for the “home” games they played in Wisconsin during that period (while contemplating a move in the then-vacated Milwaukee MLB market)? “Jackie Robinson” by the PA announcer. Perhaps all games could be predetermined to have final scores of 4-2, etc. ?